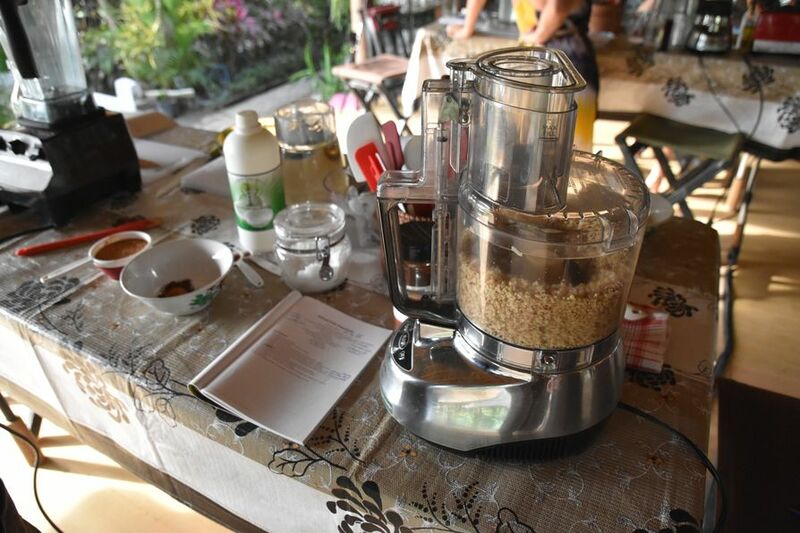 My first time in Bali in November 2015 I participated on a Pure Raw vegan chef certifiaction and detox training which took us 10 days altogether. We started the afternoon before the training to get to know the place, the teachers, the schedule and other participants. 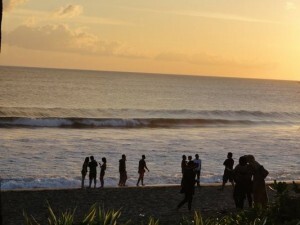 The whole training began with a super cool Balinese ceremony and some raw vegan treats. 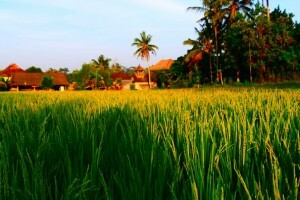 As The Ark, the course location, didn’t have any free rooms for me any more (I signed up for the course very last minute), I was staying at the Gajah Biru Bungalows a pleasant 10-minute walk away. 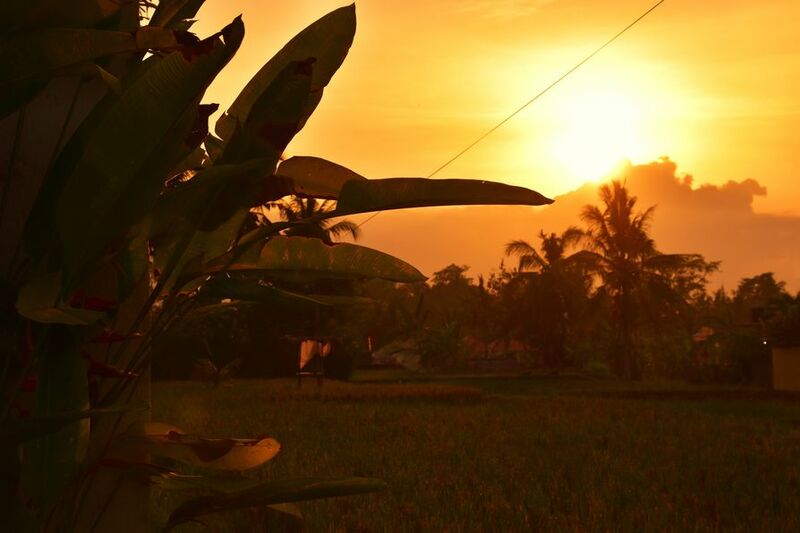 Watching the sunrise above the rice fields on the way to the training gave me loads of needed energy. I was so not used to waking up that early around 6 am any more and starting the day with a difficult yoga class was a huge challenge for me. But I promised myself to be strong and go as much as I could. It was so worth it even though I sweated like crazy! Our teacher, Robyn Lynn, was really awesome! It felt really strange to start singing the first second when we didn’t even know each other and most of us were exhausted. But quickly we learned that singing is not about sounding good but about being honest and heard. It serves us to get our needs met using our voice from the belly, and not from the throat only. So we even breathed from the belly when we sang. We are aware of feelings and it’s all just about how we express it outside. We as women are designed to beauty. Like flowers, they are beautiful without even doing anything. But sometimes we forget to say what is really in our head and heart. Amy used to hid in her childhood not using her voice at all in the dysfunctional family. Then she wanted to be a song writer and express what was in her. So she had been vocal training almost half of her life and we could sit there and listen to her beautiful voice! You can hear everything from what’s going on in your life just through your voice. Then, we even started dancing to Where is the love song by Black Eyed Peas. The most perfect song ever which made me enjoy dancing even though I honestly do not like it. Communication equals gratification so we were asked to speak about anything, needs, problems, worries, grief, feelings etc. We are strong women and crying babies at once and a lot of it comes here during a course like this one. So some of us even started to sob at the first sharing circle when talking about death and holding emotions. 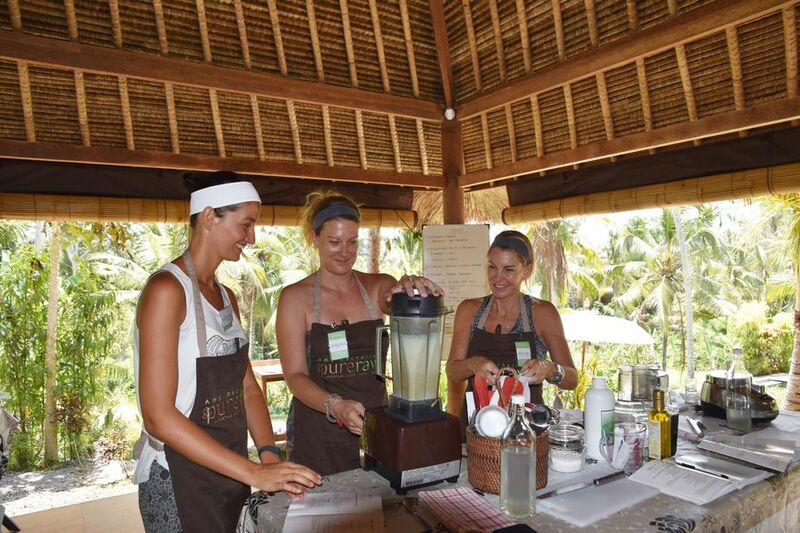 It was not just a training to teach us how to prepare delicious raw vegan meals and detox our bodies. The majority of us came there to completely let go of things that worried us so we might get resistant to crying or the opposite, simply cry a lot. It is important to be honest about our feelings and let them get all out. There is nothing wrong to fix so the suggestion at the course was not to try to figure out why we feel the way we do. Women have a lot of estrogen so we are designed to feel. Our female part feels like helping all the time but sometimes we feel like we are fixing something which brings a negative side of it. We try to be self-responsible and take care of ourselves first. Deal with the emotions and show them, not hide them pretending to be strong. If we don’t show emotions, the walls come out and people don’t feel safe around us and don’t trust us that way. And that is not what we want, right? 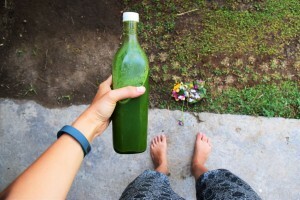 “I am not a morning person at all and hate dancing but really enjoyed the first morning yoga and dance. I am trying to experience everything while here and still be here early every morning.” that’s what I shared at the first circle. 1. question Am I fully showing up as 100% self-responsible? 2. question Am I OK with myself with the choices I make in my life? We have to be responsible for our choices because no one makes us do anything! Leukocytosis = when the number of the white blood cells increase. It happens when we eat food our body cannot digest so white blood cells accummulate, stick together to starches and sugar (bread, pasta, grains, meat and dairy glue the intestines) so the immune system reacts with intoxicity. It leads to infection, poor circulation and low immune system. It creates inflammation and ages our body. You feel tired, heavy, with skin problems and the higher potential is blocked. When you have a lot of white blood cells, the body produces mucus which blocks everything, the veins, arteries, cappilaries, lungs and you sweat a lot etc. It’s a natural response. It throws off the gut flora in the belly so the pH goes down. It holds candida and parasites. We want to eliminate the white cells and get more red blood cells. When you eat raw vegan food, your body does not need to use the immune system to attack the food. If you want to lower down the white blood cells, use natural antibiotics. turmeric – before bed time 2 turmeric capsules or mix a tea spoon of powder in a cup of water (powder is better as you get digestive enzymes in the mouth that start the digestion but with the capsules it does not happen.) No turmeric straight away for kids as it’s very strong. 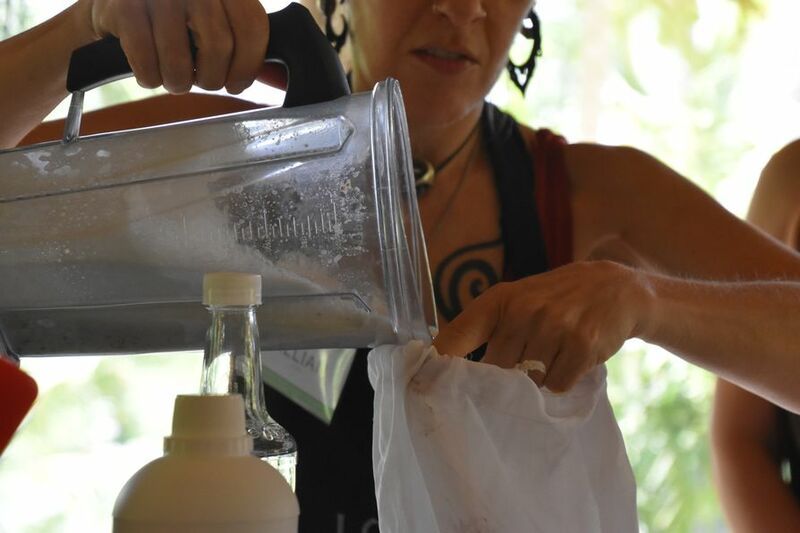 Amy Rachelle, the expert detox doctor that was leading our training was 9 years completely on raw vegan diet, then 3 years with some cooked food, then 6 years cleaning with raw again, and now mostly raw. 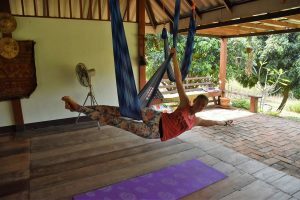 Amy’s Pure Raw approach is based on combination of 5 things – meditation, raw vegan without sugar and allergens, yoga, breath work and juice detox. 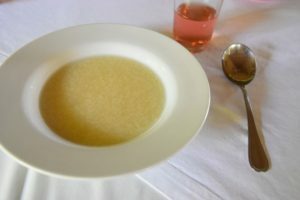 On this diet, we don’t take any sugar (NO maple syrup, coconut sugar, agave, vinegar, no fruits, no fermented food such as kimchi or sauerkraut, no cashews, corn, soy, yeast, chocolate, cocobiotic – they should have to be probiotic not staying for too long but we are never sure about it if we buy them in a store.) Other probiotics can be taken that your body can absorb easier. 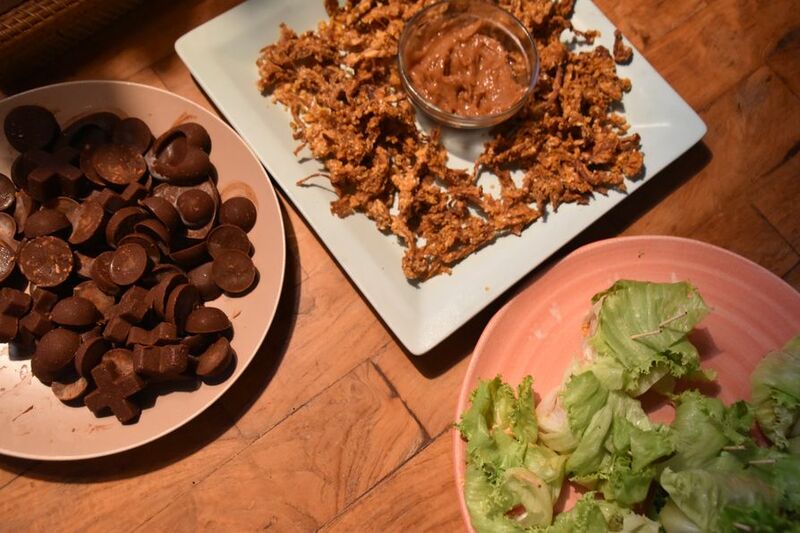 Amy confirms this is a very unusual way of learning how to prepare raw vegan food but it’s the one that after years of self-testing, she found works the best for her. The more simple you go with meals, the better. There’s no right or wrong but do I want to feel that way after eating certain meals? High oxygen content in raw food. When you cook, the oxygen goes away. It’s like in a room on fire, it gets suffocated. We need to get oxygen also from the food, not just breathing. Water content = cooking takes the water out of it. But we are mostly made of water. Enzymes = digestors breaking the food down and cleaning the blood. Cooking destroys about 80% of the enzymes. Minerals = can stand more heat but some don’t survive when heated. Fiber = broccoli is full of fiber when raw but almost looses fiber when steamed/cooked. In order to let our digestion to work the best, I need to eliminate well but for that I need fiber to absorb well. Otherwise, bloating and leukocytosis happen. To plan and prepare meals is the key! Depression is not caring enough and anxiety is caring too much. 1. question Am I number 1 in my life? How can I help my family and friends by putting myself first? 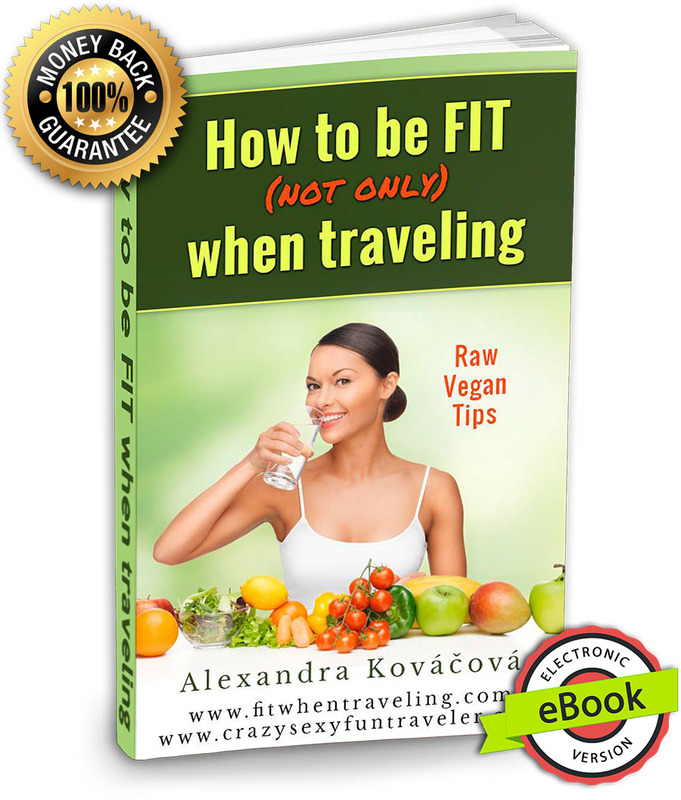 2. question What do I need to do to plan and prepare for raw vegan diet? 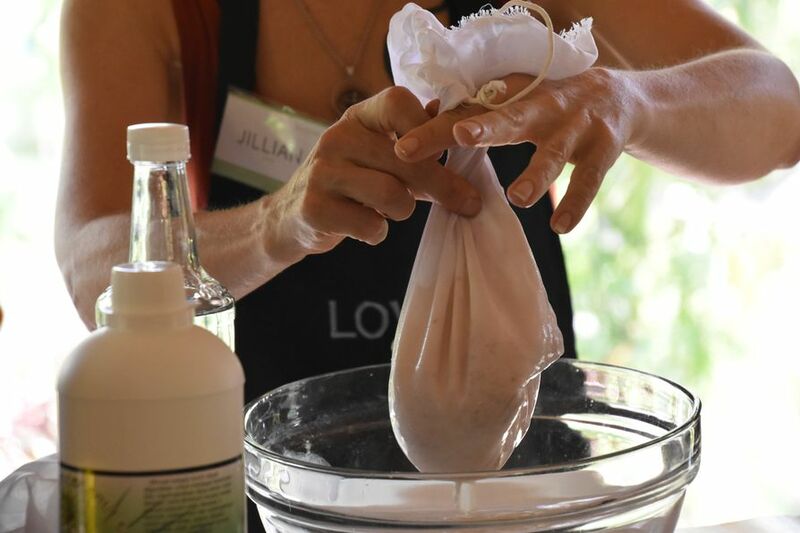 We spent the first 5 days of the course also with Jillian Love, a raw vegan chef from New York living in California. Jillian is awesome and learning from her was so much fun! Bamboo or wood cutting board. Use coconut oil to wash it after water which kills the bacteria. 2 sharp quality knives = a big chef knife and a small one. Thinner is for slicing veggies and thicker for e.g. potatoes or carrots. You have more control with sharp knives. Funnel, and a mandolin to hand-slice veggies. We soak the nuts to make them living things, to release the enzyme inhibitors that make them easier to digest. They also start changing fat into protein when soaked. Dried fruits – tomatoes, goji, mulberries, raisins, dates. They are great flavour inhancers. Sprouts, such as lentils, adzuki, clover seeds, sunflower seeds, quinoa, mungo, buckwheat. Greens – wash everything at once with vinegar. Wrap them in a paper towel, not to dry them completely, and then store in a plastic bag in the fridge. Wash strawberries with vinegar so they stay fresh for longer. Store berries and citrus fruit in the fridge, but not peaches. How can I be a super hero with least time spent on making food whle getting the most nutrition from it? 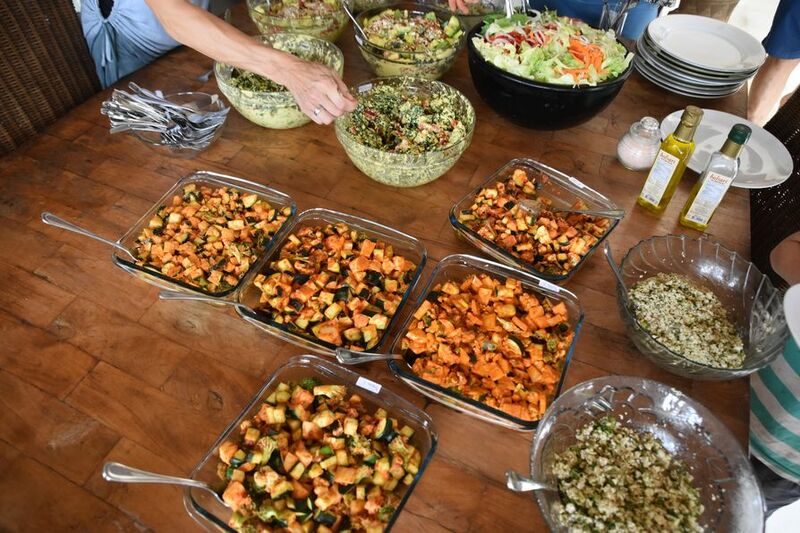 To get people more to raw vegan diet, you invite them to taste it instead of too much forcing and convincing. 4 kinds of chopping and cutting. 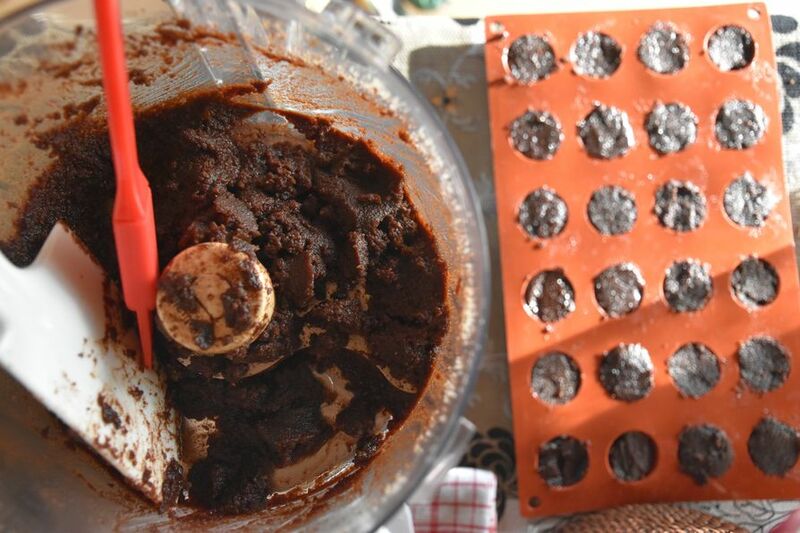 How to use a blender – turn it on on a low position, then higher speed and always finish with low speed again. Lemon and tomatoes have acidic effect on other food so they break down the food cells which makes it feel like more cooked. Spread the food out on the plate when hydrating it for longer and maybe even use some oil and stir it all up. Covering in the dehydrator means not to dry it up too much. You can cover with foil or plastic wrap that is not touching the food to keep the water from going out. So no other plate on top as it would be too heavy and could break the dehydrator. 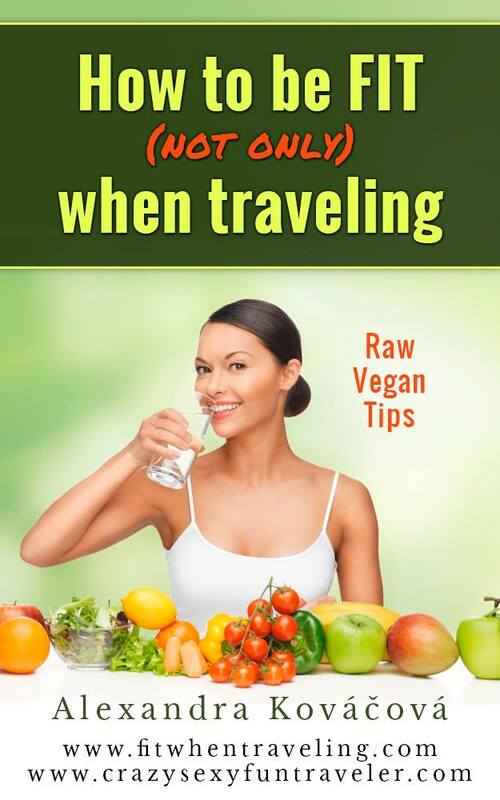 Ideas with raw vegan food – Teaching, traveling with a family and cook for them, catering, consultations for restaurants, train their stuff, meal delivery, open a restaurant, retreats, vending, big events, meetups. Then we learned how to prepare a few Jillian’s recipes. We change the breathing patterns according to our life situations we are going through. Sometimes we hold onto our breath and don’t want to let go. And then a dramatic situation can become a habit. When we are not grounded, we find it hard to breathe with our belly. Nowadays we take less oxygen in cities and we move less which does not help us. We keep forgetting that oxygen is a growing resource and raises pH of blood to 7.5 which prevents many diseases, such as cancer. The aim of breath work is doing conscious connected breath with breathing in and out through our mouth to get as much oxygen in as possible. We breathe for an hour to start moving the things inside us. We started shaking our body in standing position during one or two songs. Then we lied down on the back, closed the eyes and just started to breathe in and out fast and deep through the mouth using our Buddha belly like a balloon. We needed to keep it connected continually like a free flow. Music was getting faster and louder at first, then slower and more spacious. Both breath work teachers were walking around touching our belly to remind us to breathe properly and deeply. If you don’t want to get touched, you can say so in the beginning. 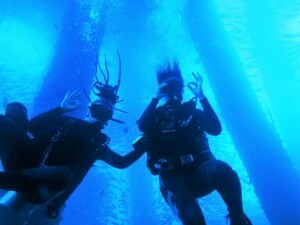 The deeper you breathe, the more of an experience it is going to be. Keep connected but you can choose how deep you breathe. We held our hands once up in a circle to finish the breath work session. When we start breathing, our mind starts working – do I breathe in enough, do I do it right? So just upgrade the amount of oxygen and observe your breath being conscious. Just notice the mental experience and where else I need to take the same thinking I have during the breath work. What am I thinking about during the breath work? Am I afraid? Not focused? Too hard on myself? Don’t do it properly? Etc. Breath work is a physical experience to many because we breathe in and wake up our body. We can feel tingling in arms and hands and then automatically have a feeling we have to put our hands up to the shoulders. We can feel tingling in legs, too and some old injuries can come up again. The tingling in our body unblocks the energy. It can be also a very emotional experience, not just physical. We can feel anger, sadness, fear or joy that we were trying to suppress. We are often afraid to feel super happy or angry in this society. Just welcome the emotions that come and be curious why. Breath work can also be a very spiritual experience. Usually the feelings go away once I recognize them. Trust your body that it knows where you need to go right now. Breath work is like a rebirth allowing the trauma to pass so we can start moving on. Most of the people find breath work uncomfortable. But it is good to know that we can do uncomfortable feelings. With so much energy and oxygen, something has to shift in us. Just let it go and notice the changes over the next few days. We had a breath work on the first night as many of us have resistance when we come to participate on a course like this. After a short while I didn’t like the feeling in my hands, it felt so uncomfortable. The heavy hands felt like stones not connected to my body. Then the music slowed down and it felt easier. I also felt tingling in my lower back, then belly (as if two hands were massaging it) and feet were extremely vibrating. For a minute it started to vibrate also around my right knee (I’ve had s meniscus problem there for years.) It was an intense bubbling feeling as if champaign was running through my blood. I cried and yawned like million times and I hardly ever yawn. But I always have tears in my eyes when I yawn so it made sense. I only cried for a few minutes, my mouth felt super dry and I had to keep swallowing. Then once I realised I have to go through this, I felt safer, more comfortable and not so heavy. For some time I passed out and disappeared not knowing about anything around me. Disappearing here shows I tend to disappear in life, too. Yes, I travel and go places. Maybe three or four times I found myself not breathing at all. At first I felt really tired, afterwards a bit sad for a minute. Next time I should focus on the exhale to release the feeling. Although I could mostly experience it all on the physical level, it doesn’t mean nothing is happening on other levels, too. Just after that experience I felt so light-headed and so emotionally released like under drugs. And a bit dizzy. No strong feelings during and after. I had a hard time falling asleep afterwards, was fully awake and kept thinking about everything. 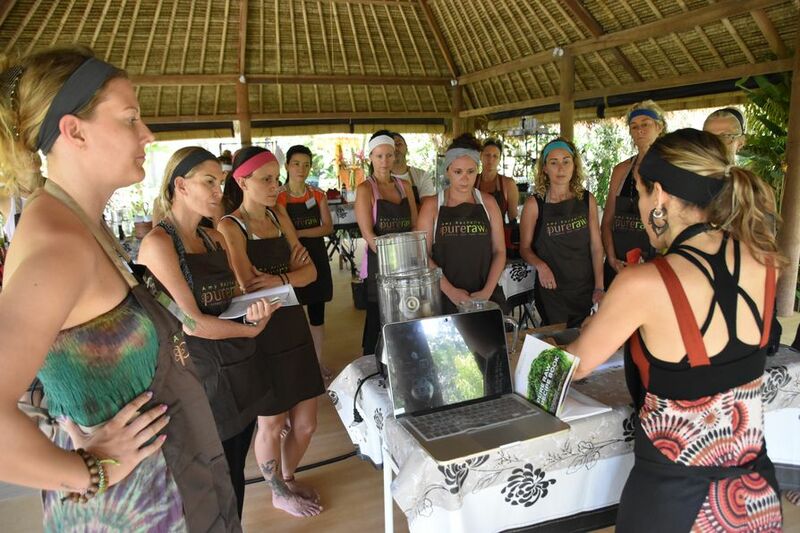 As you can see, we really did learn a lot on our first day of the Pure Raw vegan chef certification and detox training Bali. 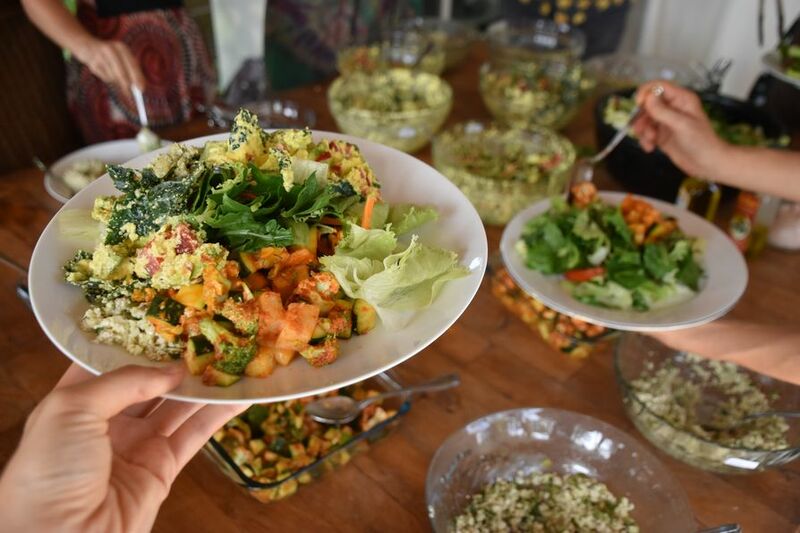 Here is more about our second day of raw vegan chef course where you can find the next day. 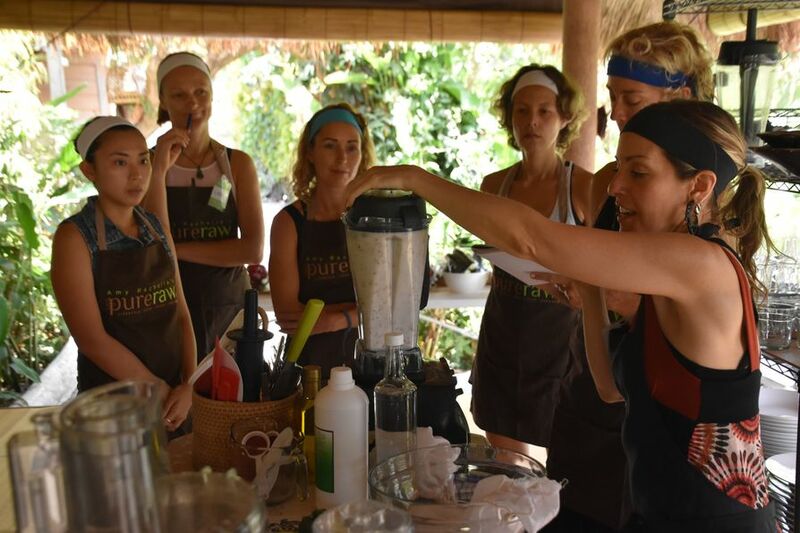 Check out more photos from the Pure Raw vegan training in my album. 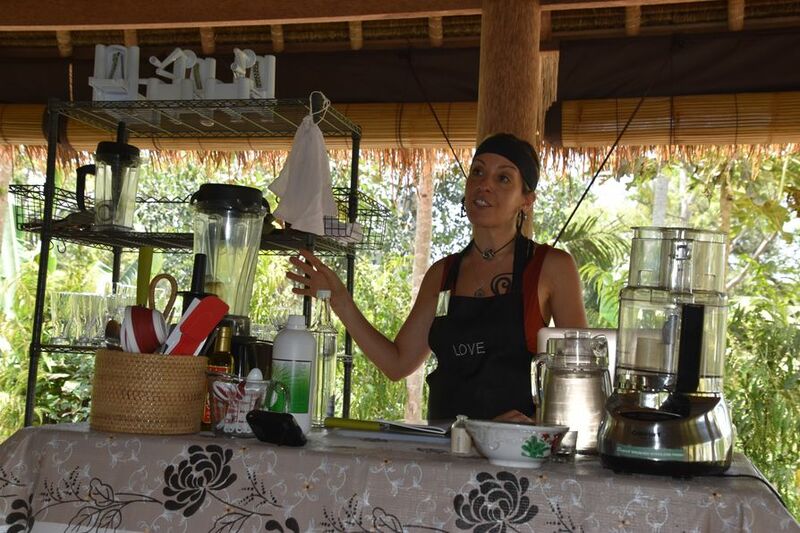 For more information about Pure Raw vegan courses, please check Amy Rachelle website. I am eternally grateful for being part of the training which made me a better person.